I know fractions are difficult, but with these easy step-by step instructions you'll be solving equations with fractions in no time. Do you start to get nervous when you see fractions? Do you have to stop and review all the rules for adding, subtracting, multiplying and dividing fractions? If so, you are just like almost every other math student out there! But... 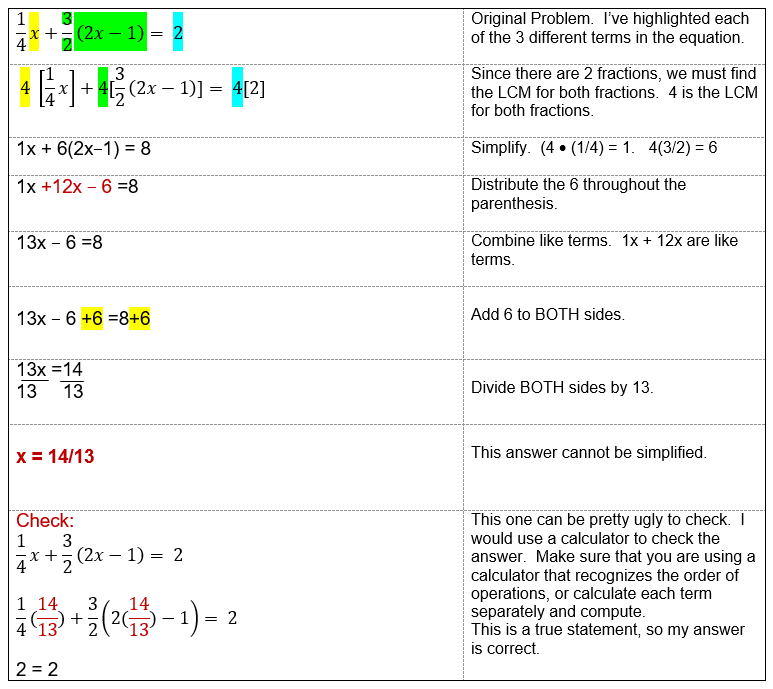 I am going to make your life so much easier when it comes to solving equations with fractions! Our first step when solving these equations is to get rid of the fractions because they are not easy to work with! 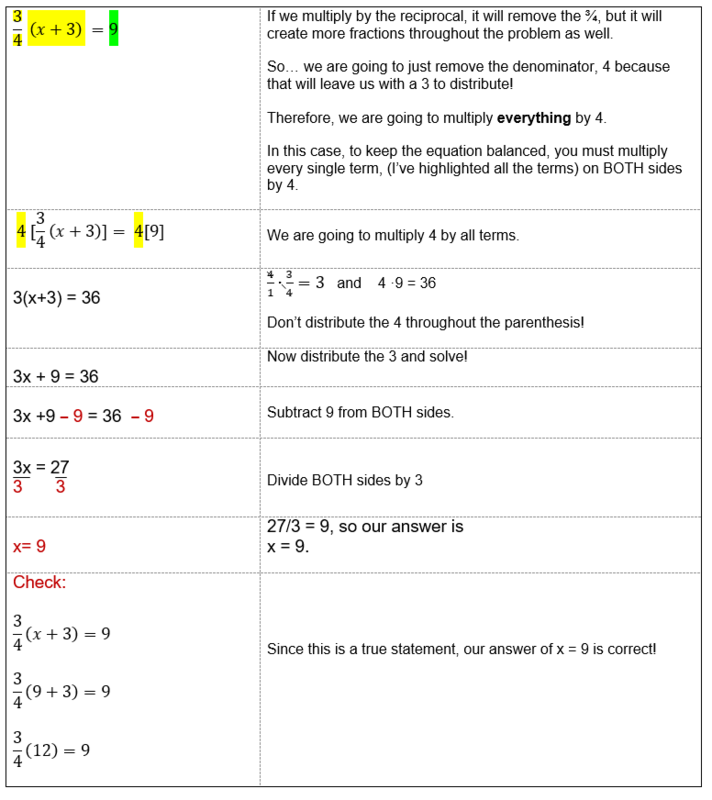 Let see what happens with a typical two-step equation with the distributive property. Yuck! That just made this problem worse! Now we have two fractions to contend with and that means subtracting fractions and multiplying fractions. We DO NOT want to do this! DO NOT distribute fractions. We are going to learn how to get rid of the fractions and make this much more simple! So... what do we do? We are going to get rid of just the denominator in the fraction, so we will be left with the numerator, or just an integer! I know, easier said than done! It's really not hard, but before I get into it, I want to go over one algebra definition. We need to discuss the word term. In Algebra, each term within an equation is separated by a plus (+) sign, minus (-) sign or an equals sign (=). Variable or quantities that are multiplied or divided are considered the same term. That last example is the most important to remember. If a quantity is in parentheses, it it considered one term! Let's look at a few examples of how to solve these crazy looking problems! Take a look at this example on video if you are feeling overwhelmed. Hopefully you were able to follow that example. 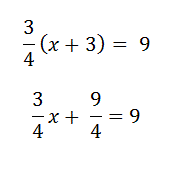 I know it's tough, but if you can get rid of the fraction, it will make these problems so much easier. Keep going, you'll get the hang of it! In the next example, you will see two fractions. Since they have the same denominator, we will multiply by the denominator and get rid of both fractions. Did you notice how multiplying by 2 (the denominator of both fractions) allowed us to get rid of the fractions? This is the best way to deal with equations that contain fractions. 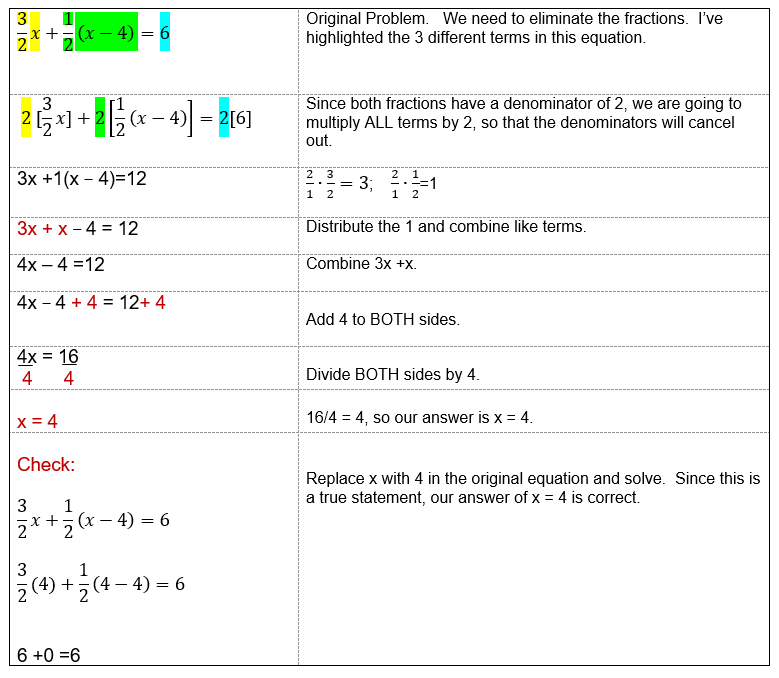 In the next example, you will see what happens when you have 2 fractions that have different denominators. We still want to get rid of the fractions all in one step. 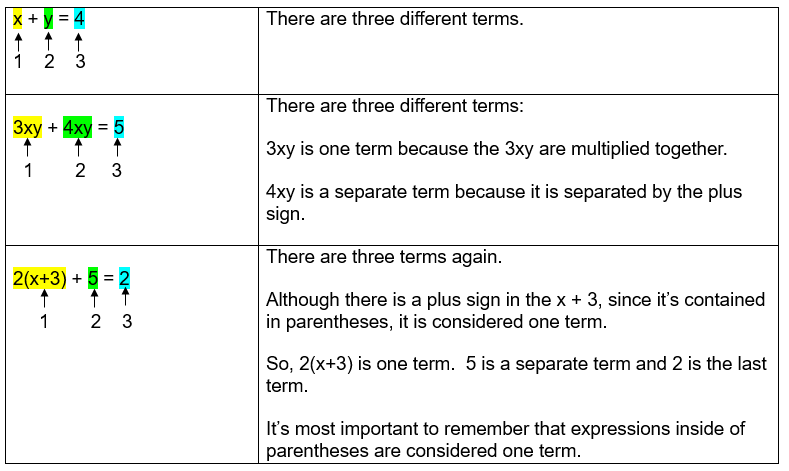 Therefore, we need to multiply all terms by the least common multiple. Remember how to find the LCM? If not, check out the LCM lesson here. 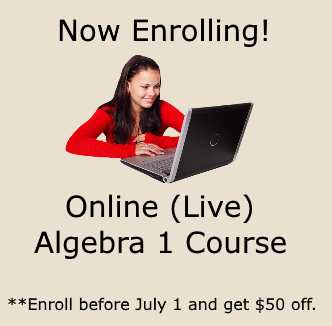 Be sure to check out the Algebra Class Solving Equations Online E-course! The Solving Equations Unit is FREE and includes video tutorials, practice problems, and step-by-step answer keys! Yes, the equations are getting harder, but if you take it step-by-step, you will arrive at the correct solution. Keep at it - I know you'll get it! 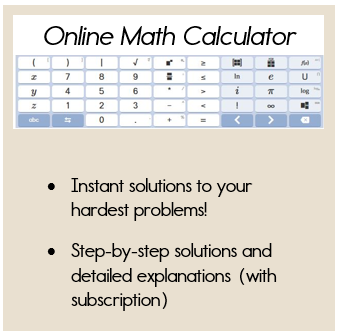 Use this algebra calculator to check your answers to your very own problems. Hopefully this will help you to get through your homework.